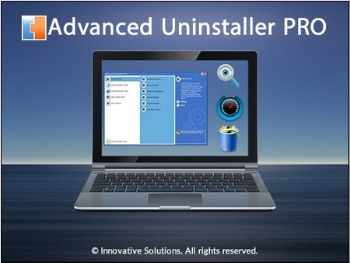 Advanced Uninstaller PRO portable makes it easy to remove all damaged Start Menu shortcuts, to hide or show them at any time, and to alphabetically sort the entire Start Menu. The program can find and delete temporary files left behind by Windows, Internet Explorer, and other applications. You can also tweak Internet Explorer configuration settings, manage and uninstall fonts, uninstall unwanted Control Panel applets, and perform other system tasks efficiently. The latest release also contains a powerful Registry cleaner, defragmenter and optimizer which will help you keep your Registry fast, clean, and easily accessible by all programs. There is also a Registry backup utility that lets you easily back up and restore this important system file when it gets damaged or lost. Easily uninstall applications and programs. The program starts a lot faster than the Control Panel Add/Remove applet, and has a handy quick search function. Disable or delete the programs that run at startup. Remove items left behind in the Add/Remove section after program uninstall. Manage the fonts installed on your computer. Hide, show or sort your Start menu shortcuts. Automatically find and delete the non-working shortcuts on your desktop and Start menu. Uninstall Internet Explorer toolbars, plug-ins and BHOs (Browser Helper Objects). Delete the recently open files list of programs such as Microsoft Office, Windows Media Player, ICQ, MSN, WinZip, RealPlayer, Kazaa, Morpheus, WinAmp, etc. Delete the Internet history trail (information about the pages you visited, addresses you typed, cookies, etc).